This pretty Bioworld x Solo kisslock wallet is now available on Amazon. 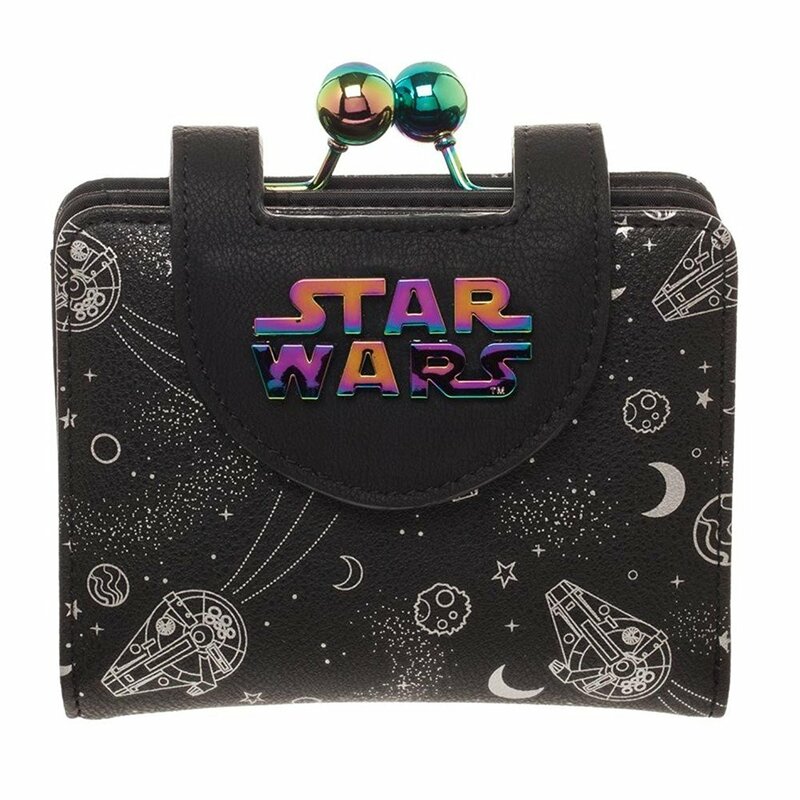 The black mini wallet features an all-over print of the Millennium Falcon against a galactic sky, and an iridescent Star Wars logo on the front. The kisslock-style clasp is also iridescent, which is such a pretty touch! 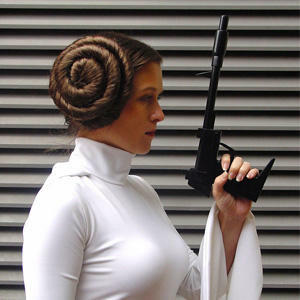 Whether it’s the Kessel Run or just a trip to the store, be prepared! 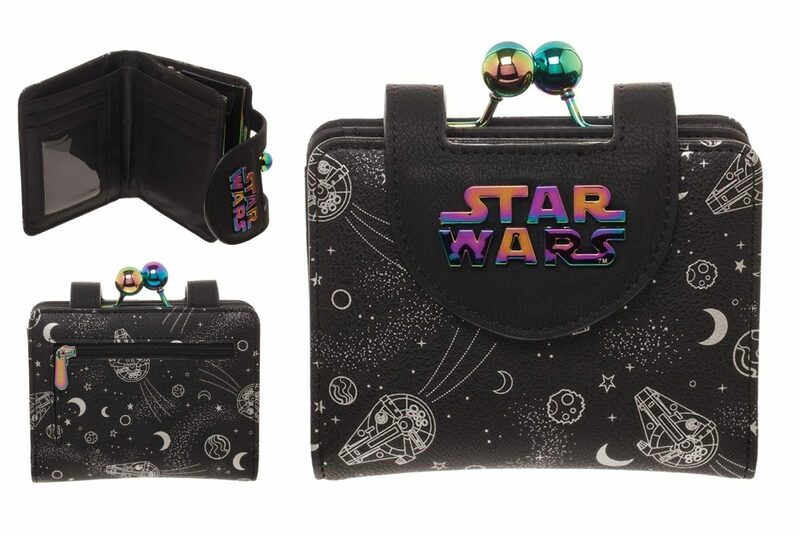 Carry everything you need in this Star Wars Solo Millennium Falcon Iridescent Mini-Wallet. 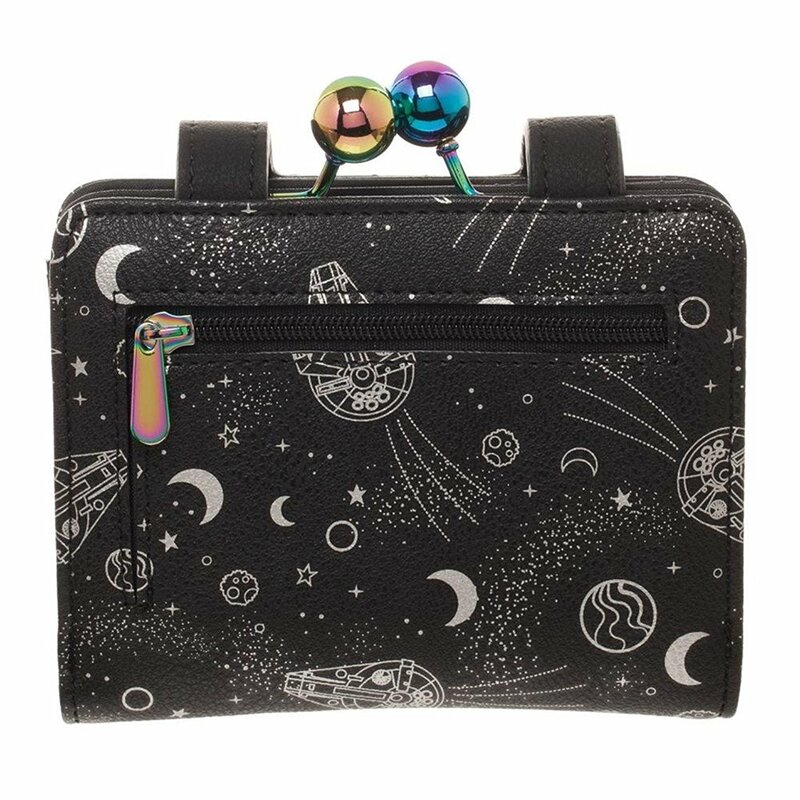 The outside shows of the Millennium Falcon in an Astro Blasters style pattern, while the inside includes 1x large cash compartment, 4x card slots, 1x transparent ID window, and a separate coin compartment with a retro style clasp. 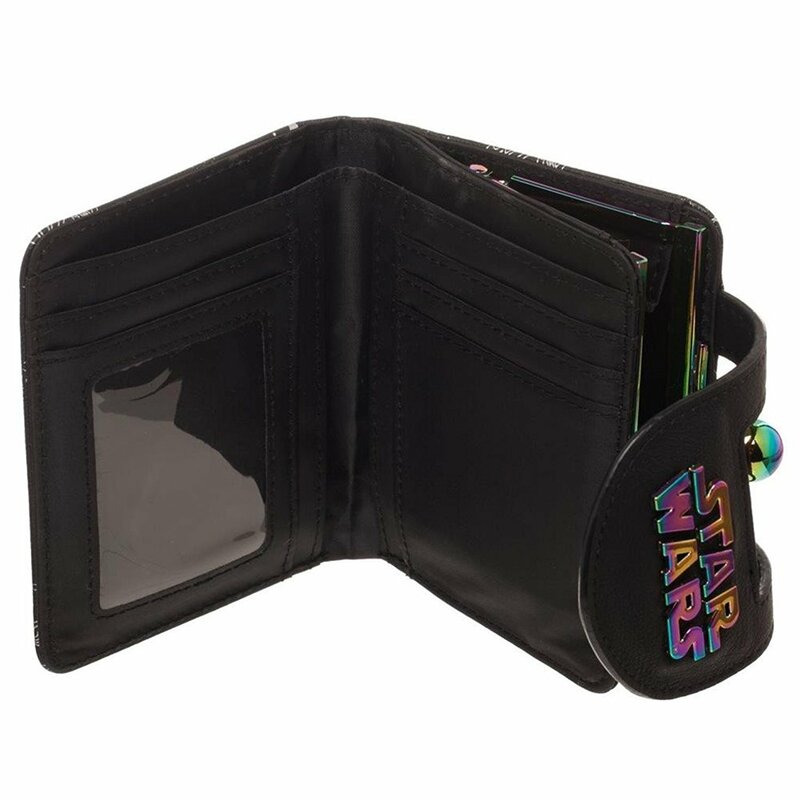 The wallet is priced at US$37.99 each – shipping rates/polices vary by seller (overseas customers can purchase via a mail forwarding service, or check out Entertainment Earth).